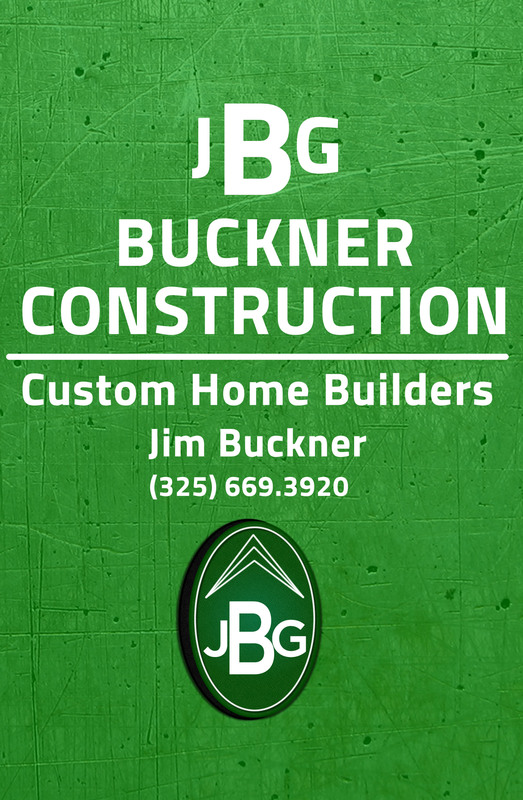 Buckner Construction was founded in 1977 by husband and wife Jim and Georgia Buckner. Buckner Construction LLC. is a family owned home builder that has been building homes in Texas and Illinois for over 37 years. Now located in Abilene, Texas, Jim creates and builds one of a kind custom homes with quality at the forefront. Over the years, Jim has built custom homes along the the north shore in Illinois to the Greater Abilene Area where he has resided for the last 6yrs six years. He has been a featured builder in such notable golf communities as: Jack Nicklas', Wynstone Community and Conway Farms in the Illinois area. Our mission is to create delighted customers, not just simply satisfied customers. We believe in repeat business; we're not looking to just sell you a house, but a home for your entire family to enjoy for years to come. We strive to create and maintain a meaningful and trusting relationship with each and every one of our home buyers. This relationship is created through the construction of each new home, as we provide flexibility to our customers by making permitted modifications to plans and surfaces to meet each family's unique needs and desires. Our core values are evident in the homes we build and the relationships we create. Our reputation for professionalism and integrity inspire trust in our buyers for Buckner Construction LLC to be their builder of choice.